The following are photo's to share with friends and customers. This is a KC-120 7.1 amp,120 watt panel. 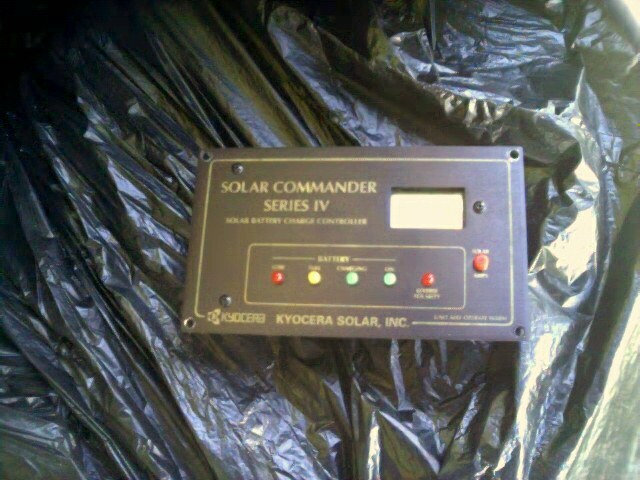 Here We have a Kyocera KC80 80 watt 4.7 amp 17 volt panel. 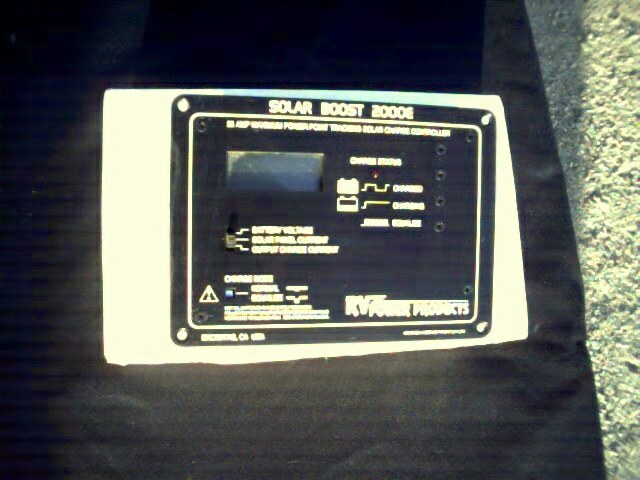 This is a BP275 75 watt 4.5 amp 17 volt panel. 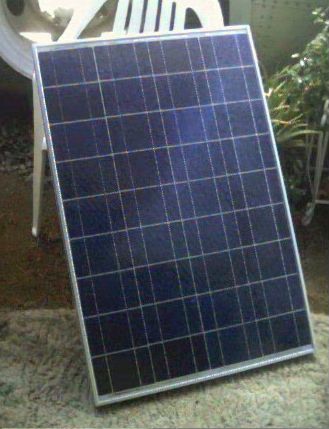 This is a Siemens SM55 55 watt 3.05 amp 17.4 volt solar panel. 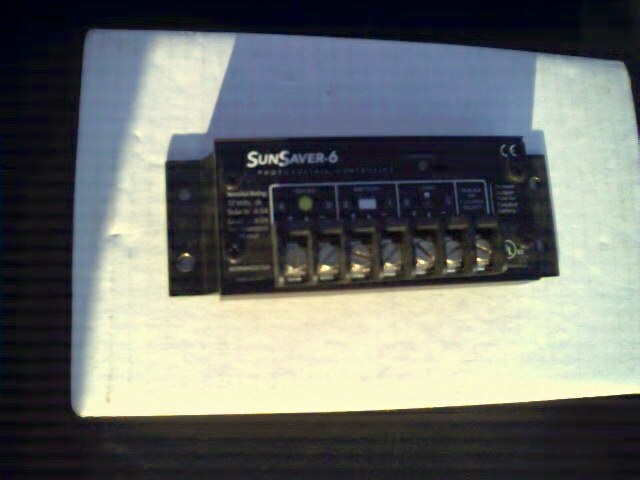 This is a SEIMENS SM50H 50 watt 3.05 amp 16 volt panel. This is the one camping world has sold in their stores for years. 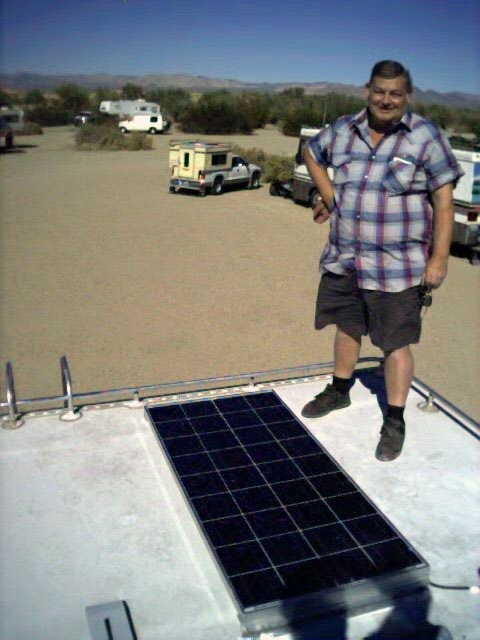 Happy customer with his Kyocera KC-120 7.1 amp 120 watt panel mounted on his Class C motor home. 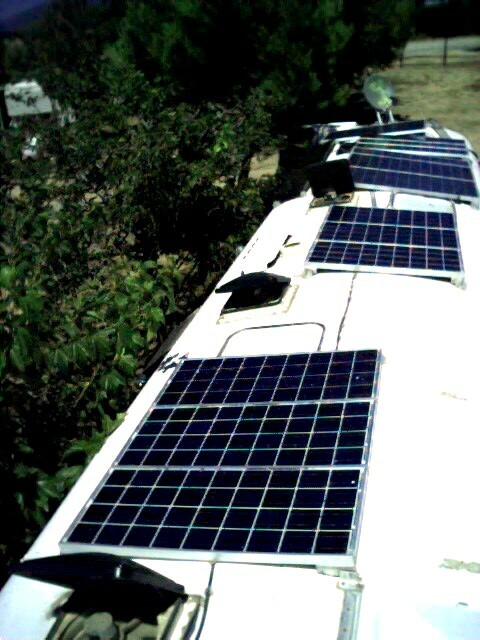 A mixed match of (from bottom to top) Kyocera LA51 (6) Solec 100 watt and 50 watt, Siemens and Arco SM 5's and M55s on the roof of a GMC 40' bus converted to a motor coach. 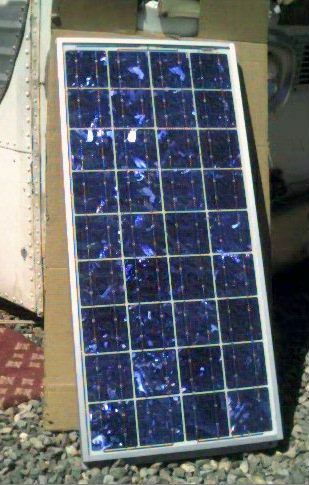 Approximate wattage 750 watt solar array. 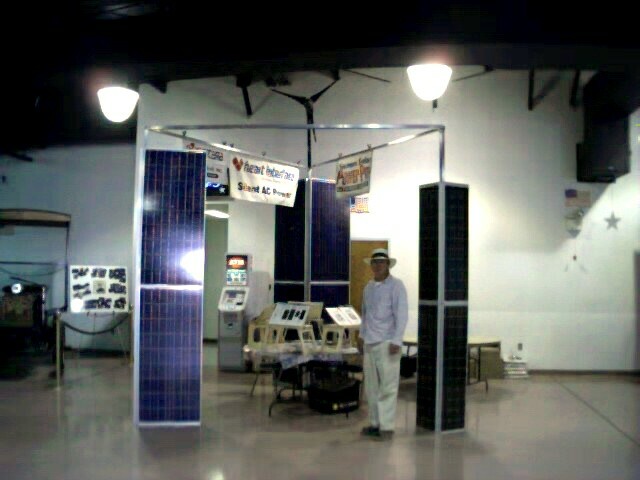 This is my display I set up at the Perris Farmers Fair Energy building September 2001. This gentleman made his own outfit spinning and weaving this traditional costume. 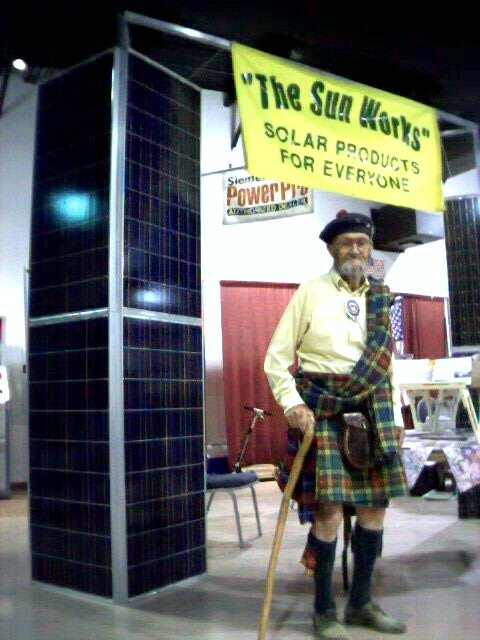 I thought this was a good combination Scottish man with energy saving solar panels. Another view of my Perris Farmers Fair display. 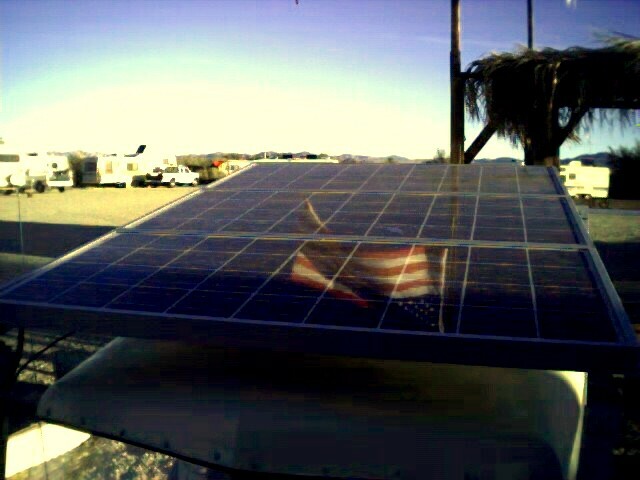 A picture of the reflection of the US flag on the PWX 500 PHOTOWATT Panels that power a 36 volt solar electric powered " Marketeer". Note panels on trailers in the background. 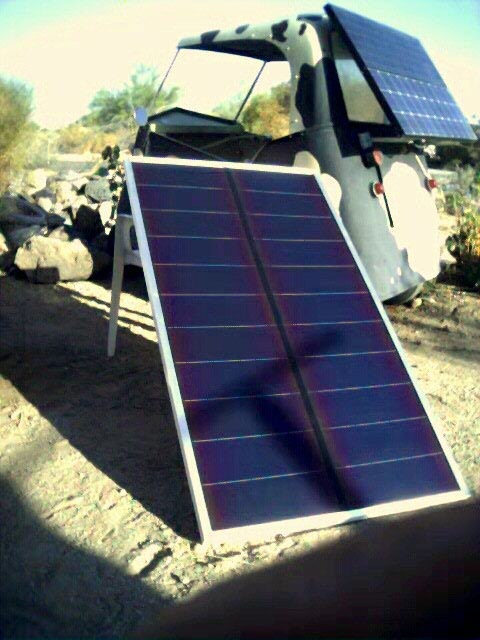 These solar panels are real popular here at Slab City. 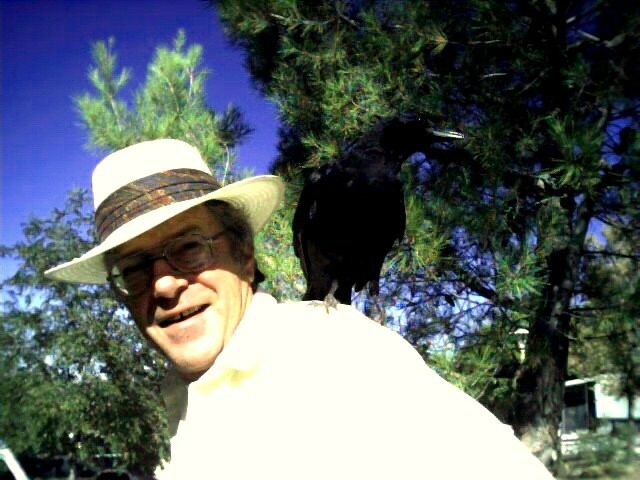 This crow decided to land on me and hang out for a while. The crow hung around a couple of days, followed me on my morning walks, then went on his way. 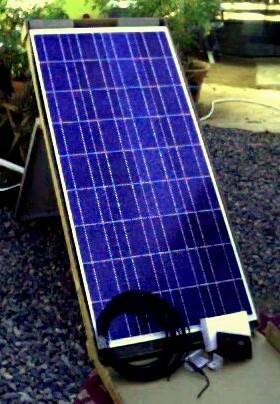 This is a US64 Unisolar Panel in front of our 1950 solar powered Marketer. 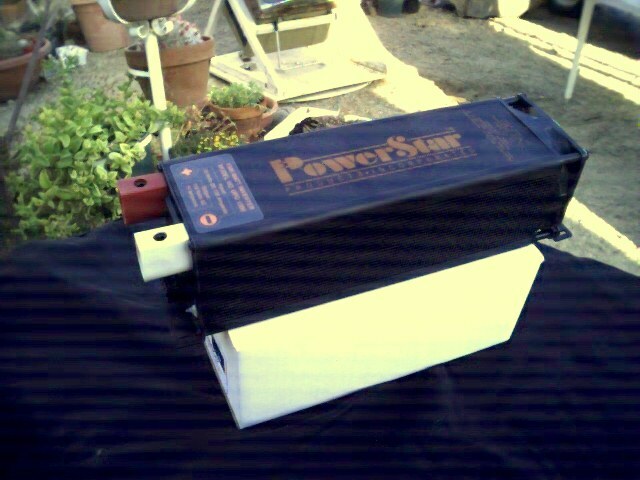 And we have here a trade in 12 amp Suncharger by Morningstar. 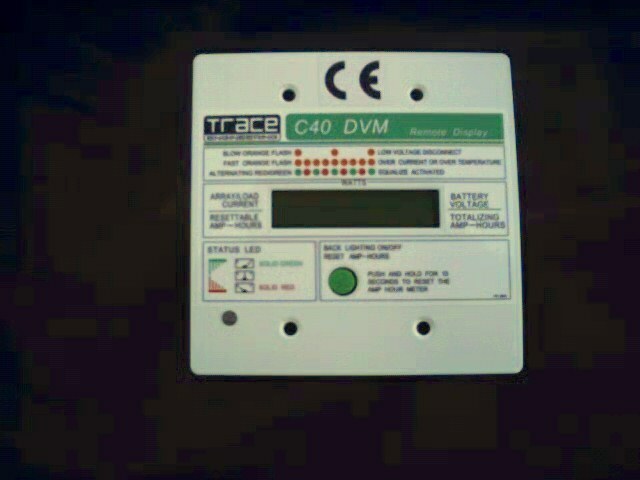 This is a TRACE C40 DVM with Digital display for The C Series Trace Charge Controllers C35,C40, and C60 models. 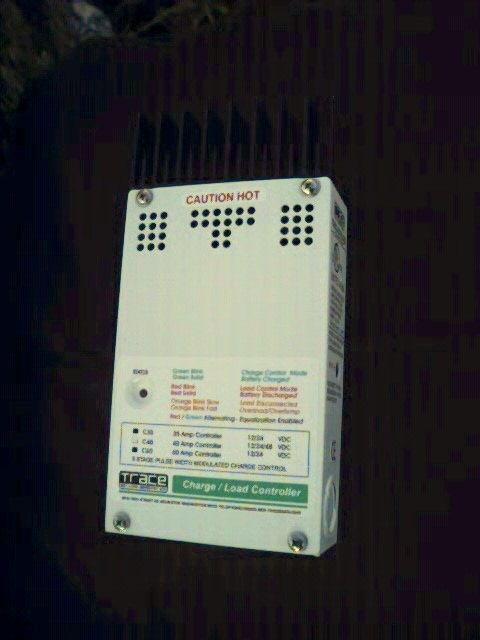 Photo of C40 Charge controller. C60 looks the same the C35 looks the same except no heat sink on top (those fin like things on top). 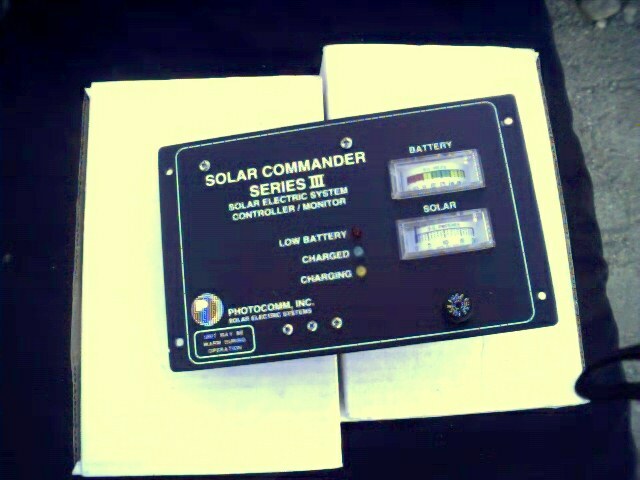 Here we have a trade in Solar Commander charge controller with analog Amp and volt meter. 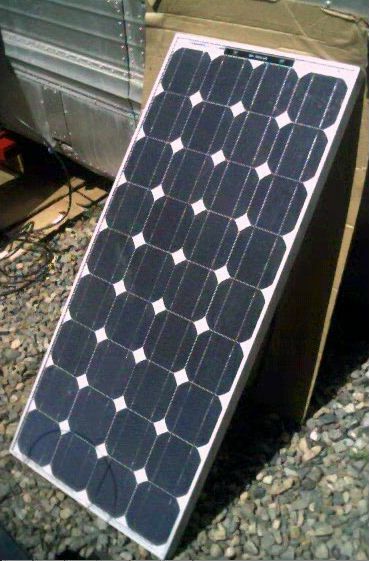 OK this is a Solar Boost Charge Controller with MMPT technology these actually boost the amps you can get out of your photovoltaic particularly when your batteries are low and on cold clear days when you have extra voltage. 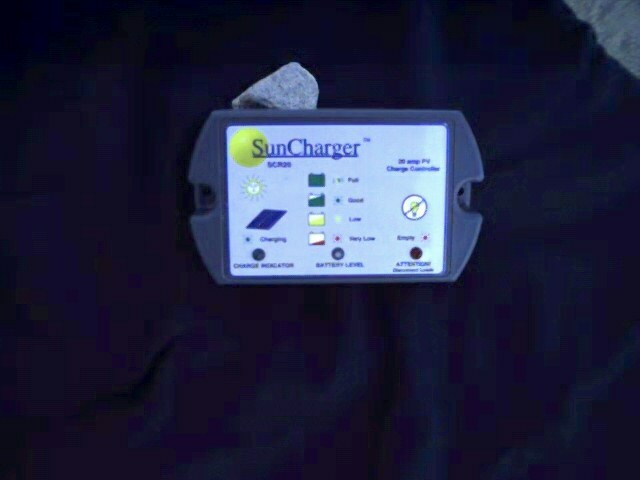 A Sunsaver 6amp charge controller I took in on trade. 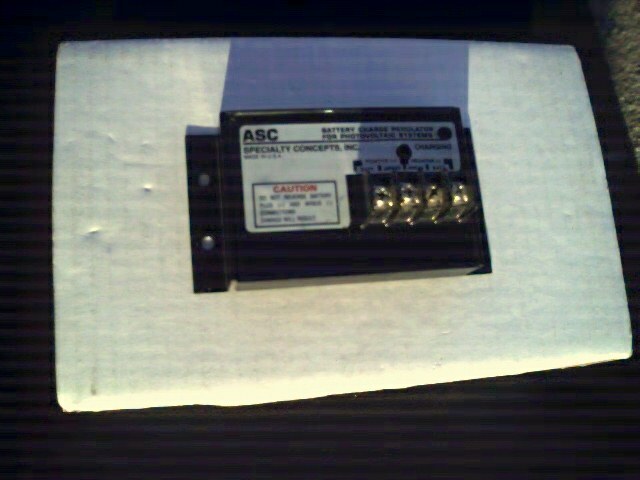 A 12 amp ASC charge regulator. 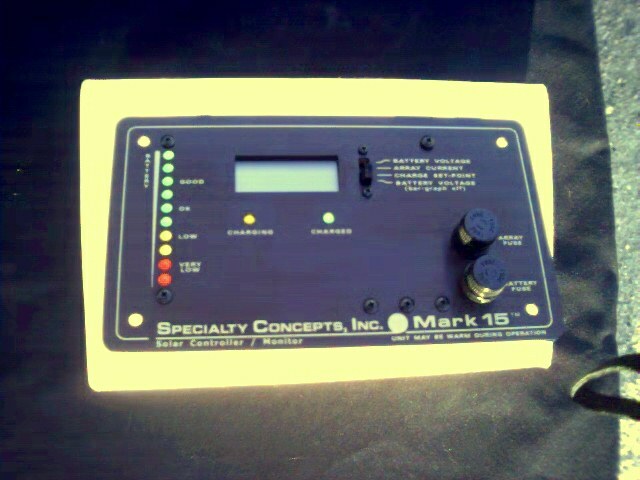 A Specialty Concepts, Inc. Mark15 charge controller with digital amp,volt, amp set point and LED bar graph display. 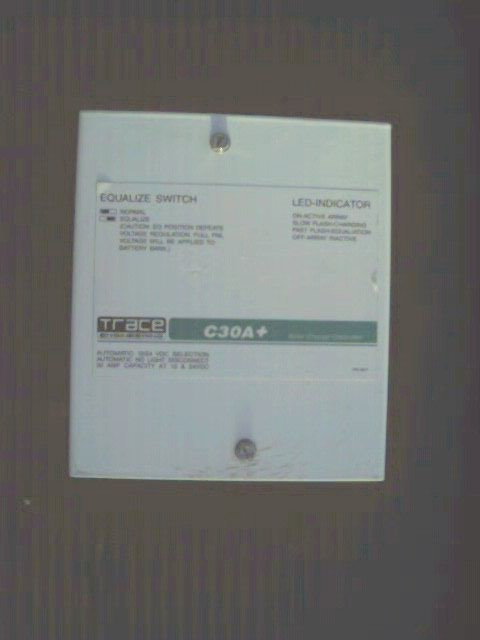 C30A+ Charge Controller one of the old faithful regulators By Trace E engineering this is a trade in. 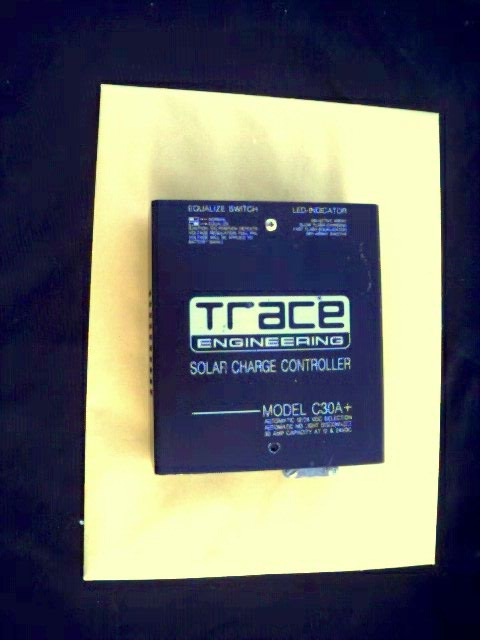 Another Trace C40A+ Charge controller this one is Black in color and a trade in unite. 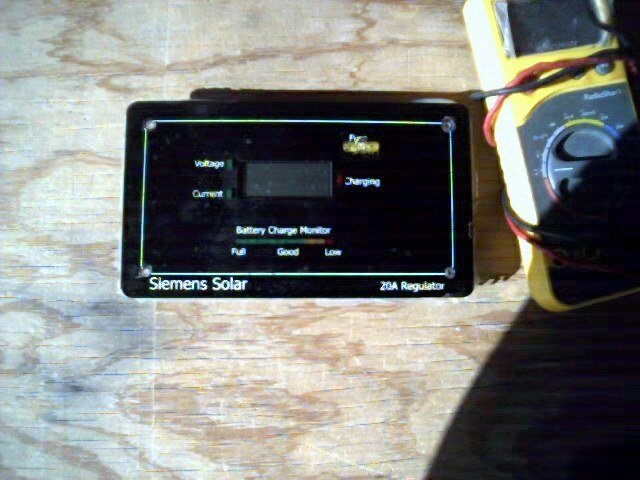 This is a Siemens Solar 20 amp Charge Controller. A customer brought this in I like it the display toggles between Amp and Volts display. It is thin able to fit in a lot of places other deeper regulators can't. POWERSTAR UPG1300 Inverter with 6000watt surge and low idle current 90ma compact well designed and reliable inexpensive inverter. 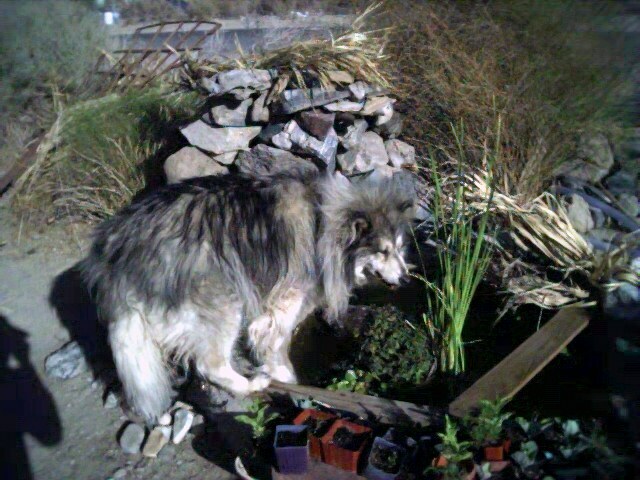 Kootney, doing some fishing in the pond.